VdB 156 (sometimes called o Andromedae nebula) is a big reflection nebula visible in the constellation Andromeda. It is situated in the north-west of the constellation, and is formed by a large system of gaseous nuclei surrounding the star ο Andromedae. 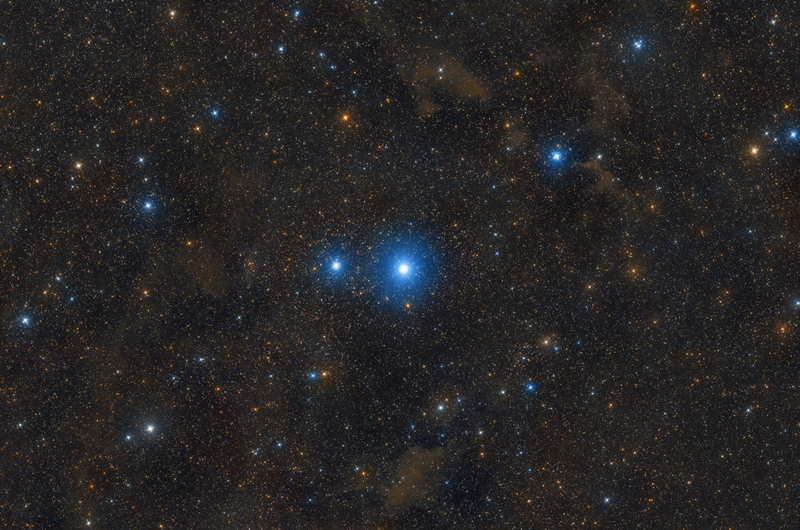 ο Andromedae is a blue giant with spectral class B6III and strong emission at wavelengths of hydrogen (classified as a star Be), with a magnitude of 3.63. Estimates of its distance-based parallax indicates a distance of around 212 parsecs (791 light-years). The environment is particularly rich in partially ionized gas and illuminated dust , given the presence of Lacerta OB1 association. 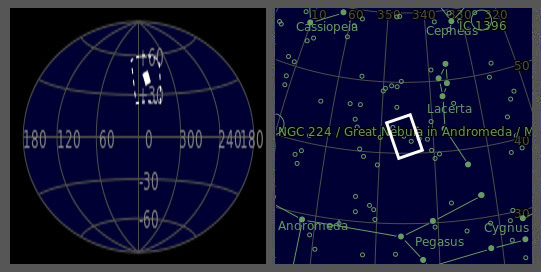 The different parts of VdB 156 (known as VdB 156 a - trough d) are also catalogued in Lynds Catalogue of bright nebulae (see the annotated mauseover).